1 1/4 Inch Solid Brass Scalloped Knob (Antique Nickel) - measures 1 1/4 inches in diameter with a projection of 1 3/8 inches. 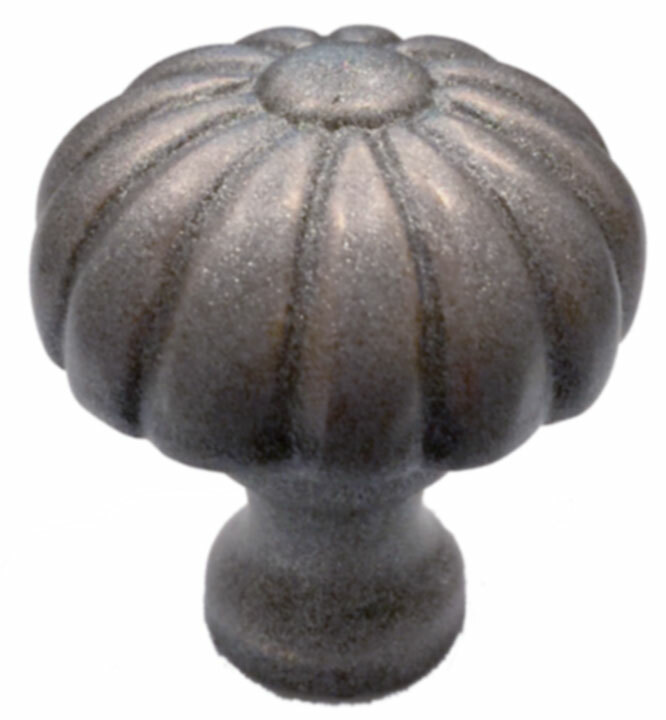 This knob has an Antique Nickel patina with a dull finished coat. This knob comes complete with the mounting hardware.